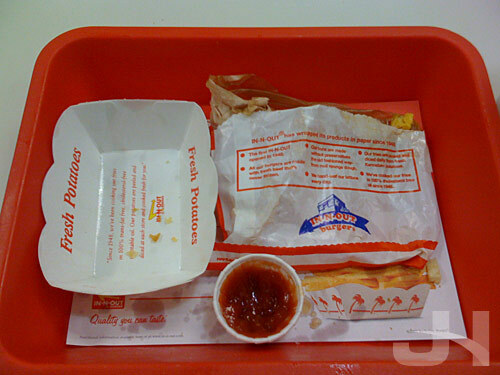 Zagat has published their 2009 Fast Food survey, and the best fast food burger belongs to In-N-Out Burger. This comes as no surprise to me. I rarely eat fast food in fact, I eat it so infrequently, I might as well say I never eat it. But there’s just something magical about In-N-Out. When I was visiting my sister in Arizona this past February, we made sure to grab a burger one night. 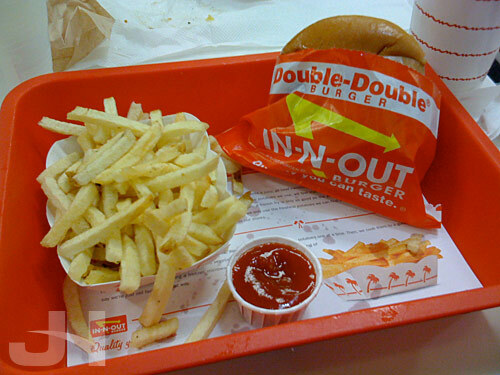 Perhaps a good thing for me, In-N-Out Burger only has locations in four states: California, Nevada, Utah, and Arizona. What makes In-N-Out special is they’re a no-nonsense fast food joint they do three things: burgers, fries, and shakes. That’s it. No pretend-healthy food, no chicken or fish. Just the basics. Mmm. I think I may have to open a franchise on the east coast!